Stone Crab Claws in Cilantro Butter & Old Bay | Simple. Tasty. Good. I don’t often cook crab. It’s pretty hard to find but then if there is any crab available at all, it’s quite an expensive treat. But if I see a bargain I’ll definitely go for it because I love crab. 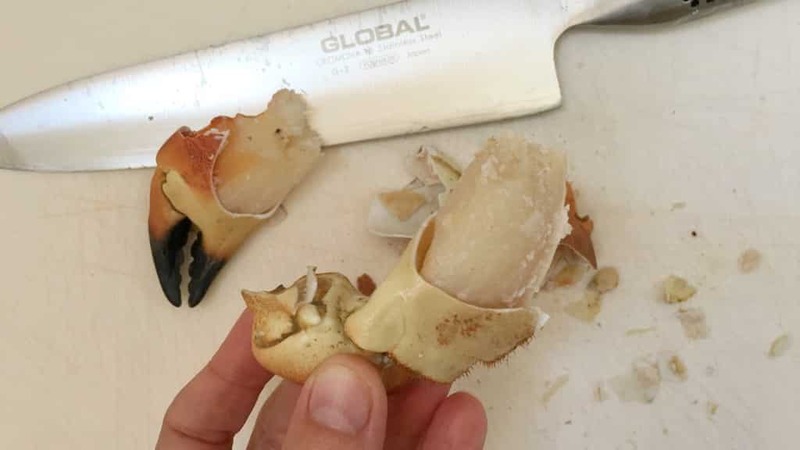 So one fine day I stumbled upon these frozen stone crab claws and because they were on sale for a very sweet price, I bought a whole bunch of them. 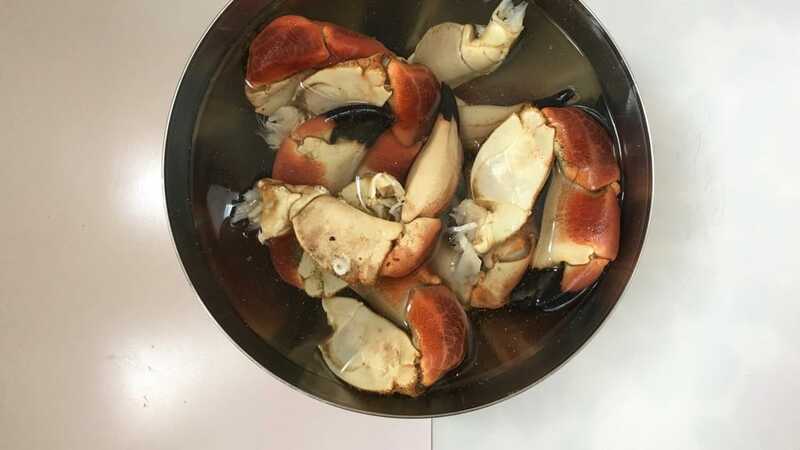 Goes without saying that you can also use fresh crab claws: just boil them a little longer (see instructions in the recipe below). I just added the frozen claws to the seasoned water and then basically let the crab thaw for a couple of minutes, done. Next up, the butter sauce. 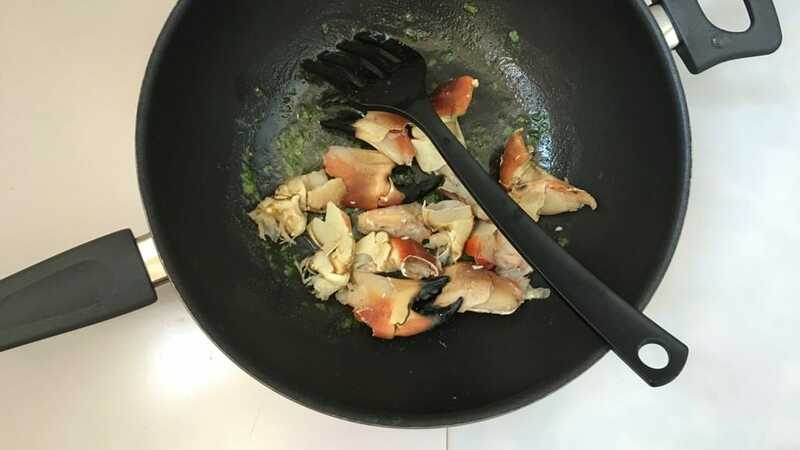 I was first thinking of making some sort of green curry but in the end I kept it quite natural because the crab flavor is pretty subtle on itself. 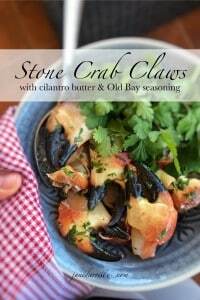 The Old Bay seasoning is a great match for this crab recipe! I got it from an American friend who told me it tastes just great in combination with seafood. Spot on, loved the flavors! 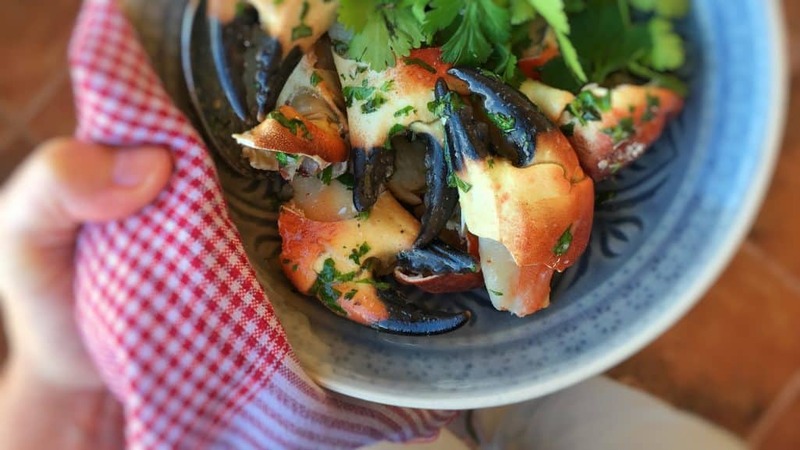 Plump stone crab claws in cilantro butter, ready for a great seafood dinner? 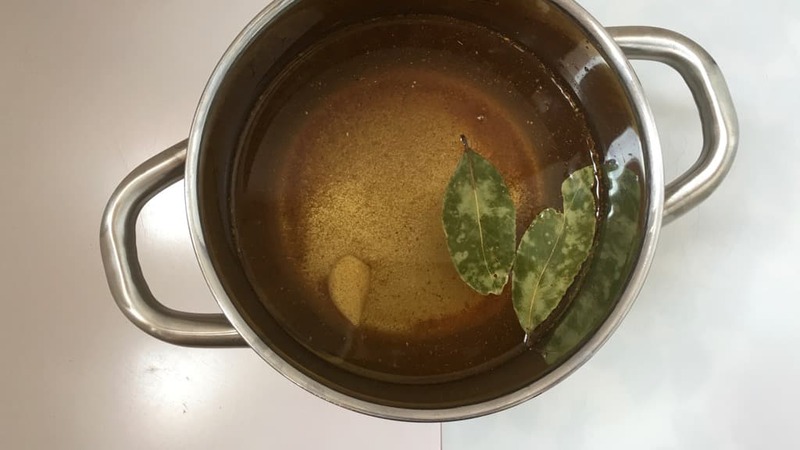 Fill a high pan with water and add 2 teaspoons of Old Bay seasoning, garlic and bay leaves. Also season with a dash of pepper and salt. Place the pan over high heat until boiling. Then add the crab claws. 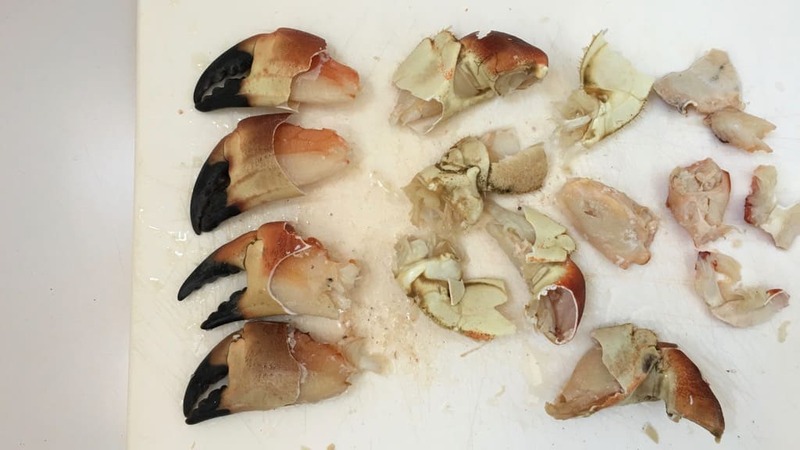 Then lower the heat and boil the claws: 8 minutes if they are fresh, 5 minutes if frozen. In the meantime prepare an ice bath: fill a bowl with cold water and add the ice cubes. Then place this in the fridge. 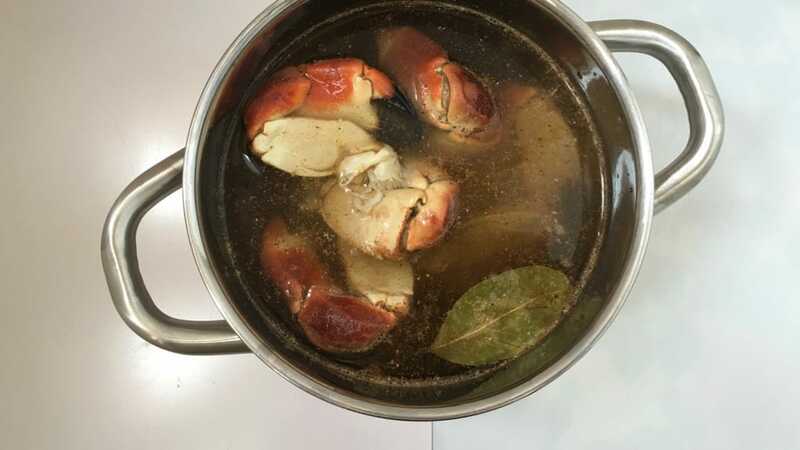 Once the crab is boiled, take the pan off the heat and transfer the claws using a slotted spoon to the ice bath. Let the claws chill for 5 minutes, then drain them. 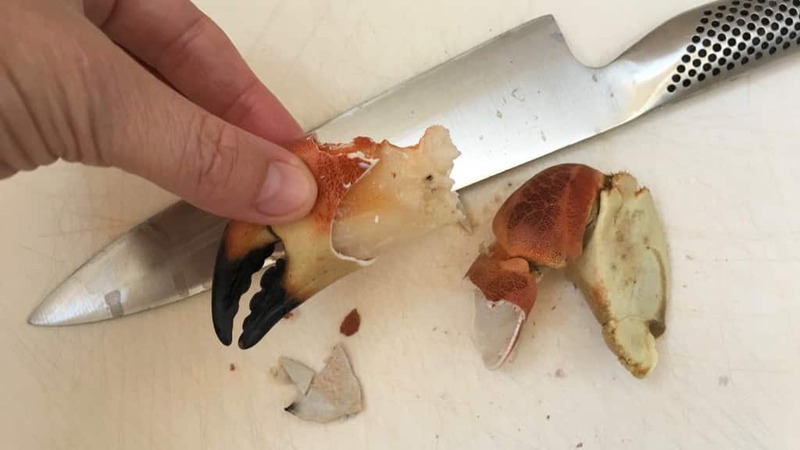 Then open the claws by gently tapping on the claw with the back of a knife blade, turning the claw until it cracks open. Do the same with the crab knuckles. Open up the remaining claws. 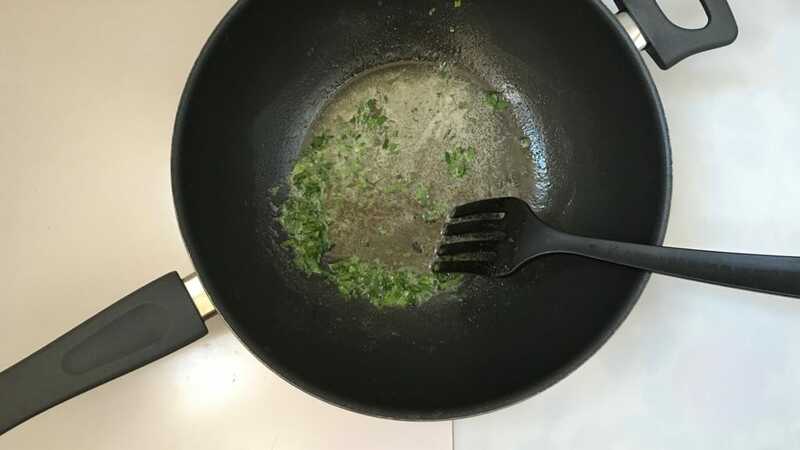 Add the butter to a large non-stick pan and place it over medium heat until melted. Season with pepper, salt, garlic powder and Old Bay seasoning. Then add the chopped cilantro. Stir well and then add the crab. Don't stir it but let it warm through for about 7 minutes. Drizzle regularly with the cilantro butter. Then check the seasoning and add extra pepper, salt or Old Bay seasoning to taste. Then divide the crab over 2 plates and drizzle with the remaining butter sauce. Serve hot.